Once you’ve completed all Week 2 challenges in Fornite you’ll unlock a secret, hidden Battle Star. To do so, you have to complete all seven Week 2 Challenges in Fortnite, which will then unlock a cool new loading screen. Take a close look at the screen and you’ll see four co-ordinates; A4, B4, A3 and B3. 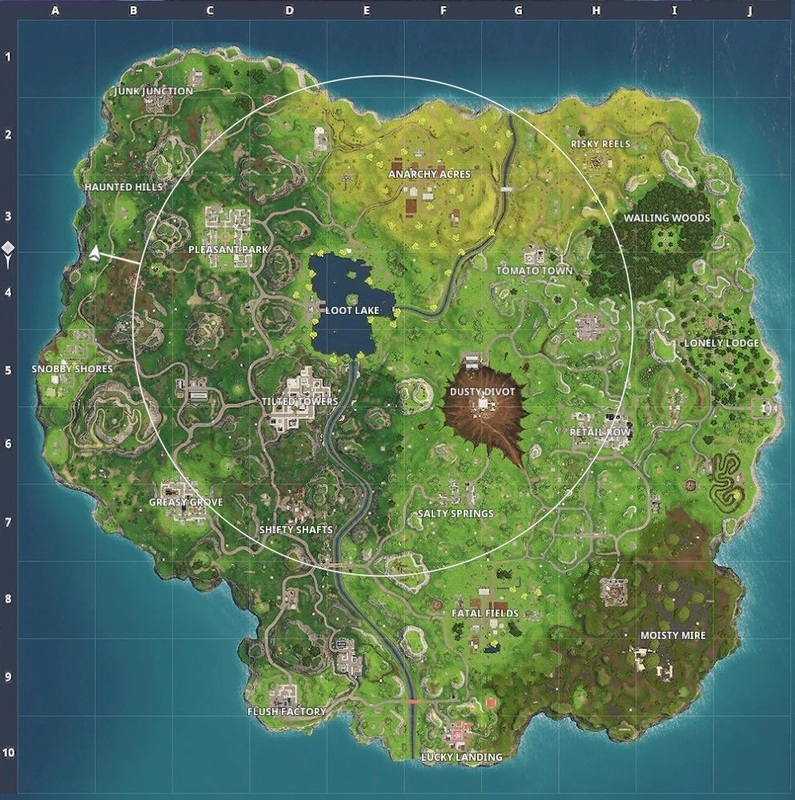 These are all on the map, and if you draw an X through them you’ll highlight a section south of Haunted Hills and west of Pleasant Park, close to the edge of the island. Pick it up and you’ll earn yourself another 10 Battle Stars, which is enough to push you up an extra tier. While you’re exploring the map, you might want to pick up the week 1 Blockbuster Battle Star. Fortnite Week 2 Challenges went live today, with players having to dance in front of 7 different cameras and search between a scarecrow, pink hotrod and big screen. It’s a big week for Fortnite as it starts a Limited Time Mode featuring Thanos from Avengers: Infinity War. Check out gameplay of that here if you want to see players get absolutely melted one after another.